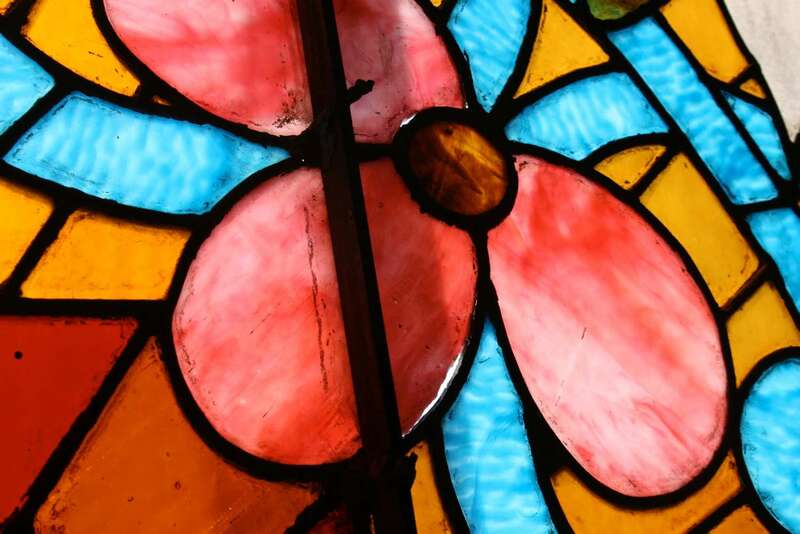 Since 1761, stained glass has been a Watkins family tradition. 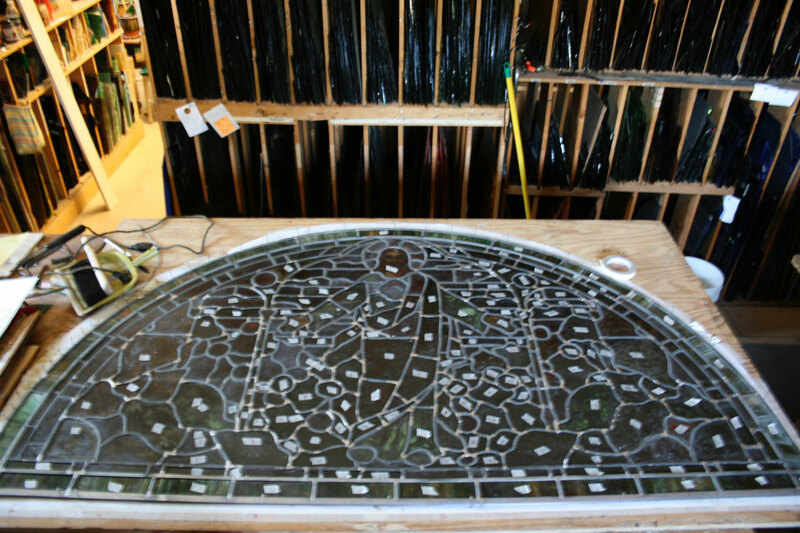 Watkins Stained Glass Studio is internationally recognized as a foremost expert in the field of antique stained glass window restoration, conservation and preservation. 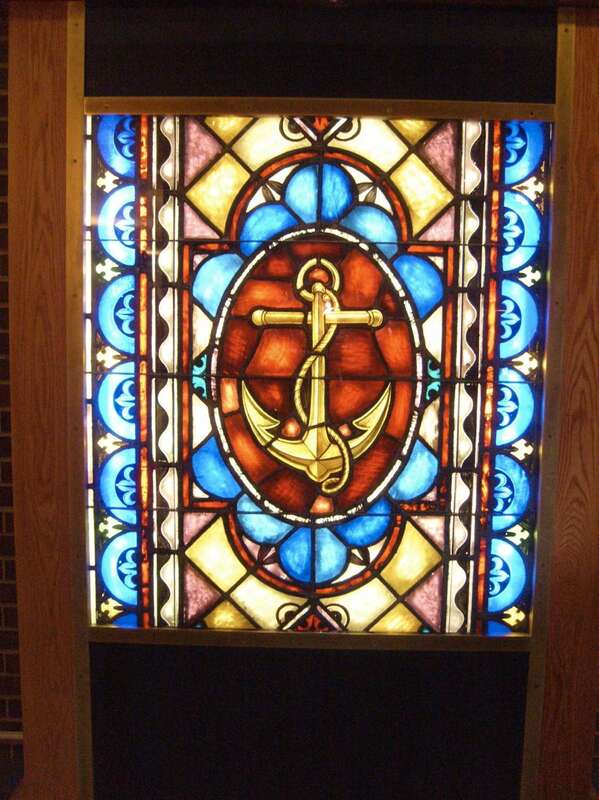 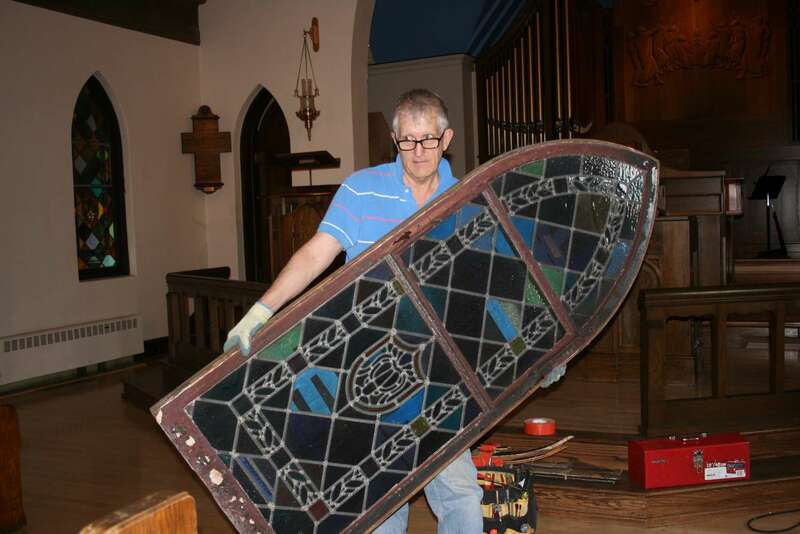 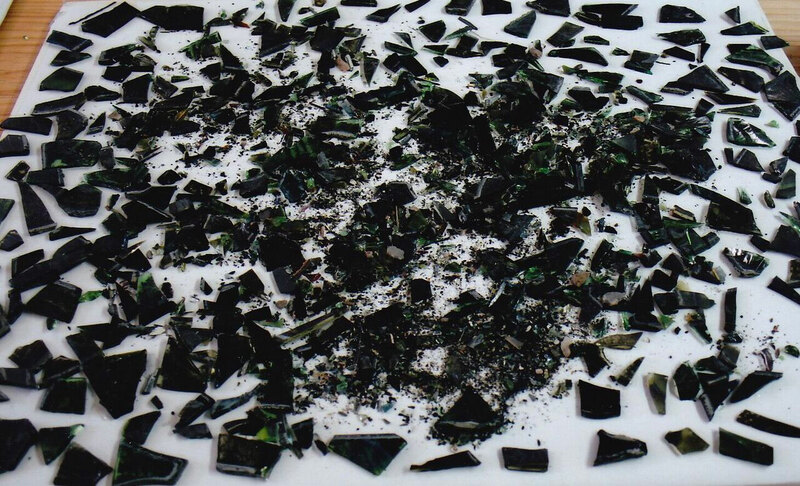 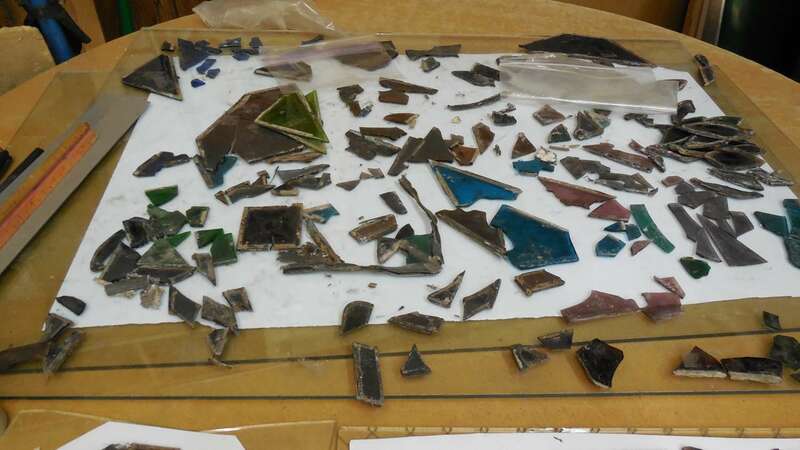 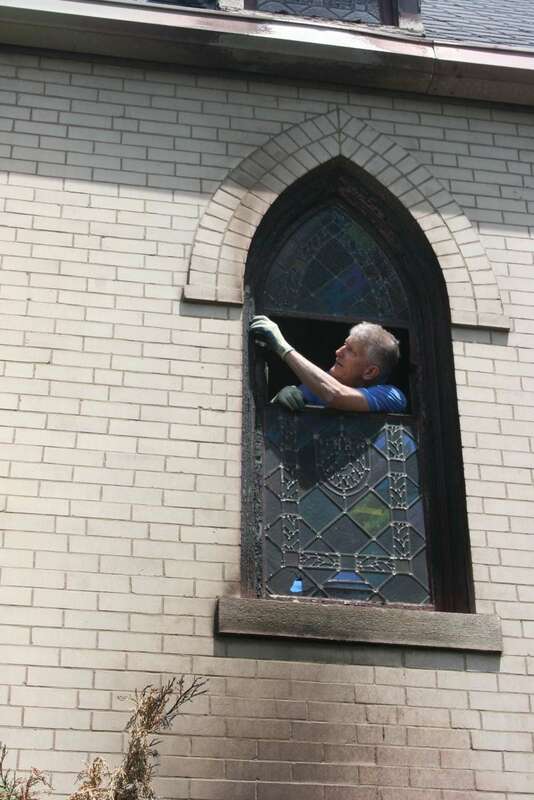 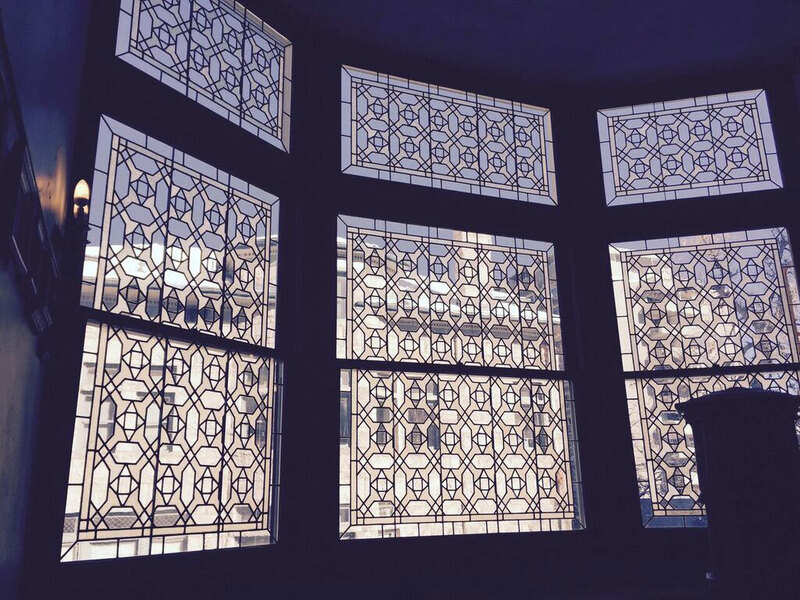 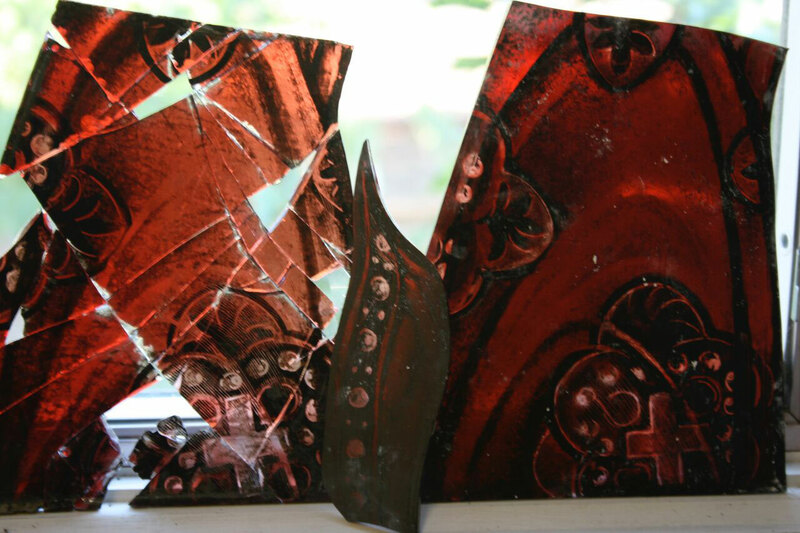 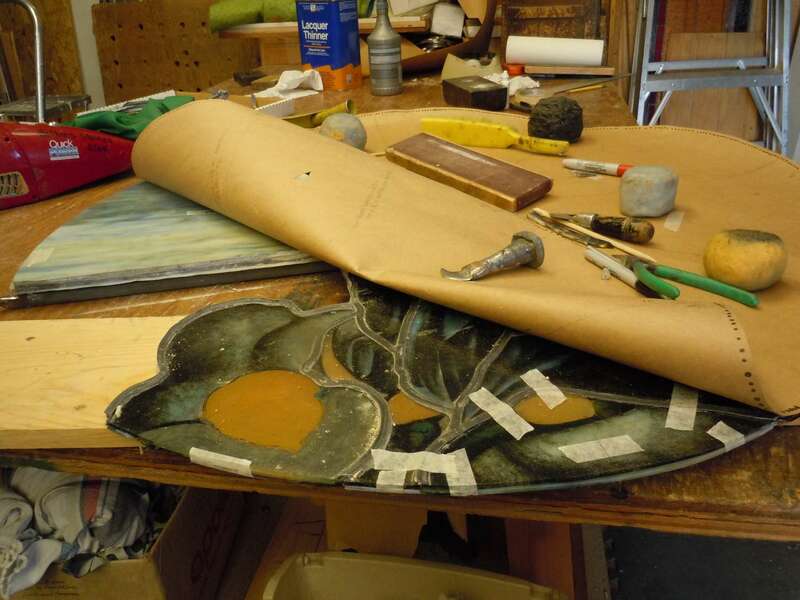 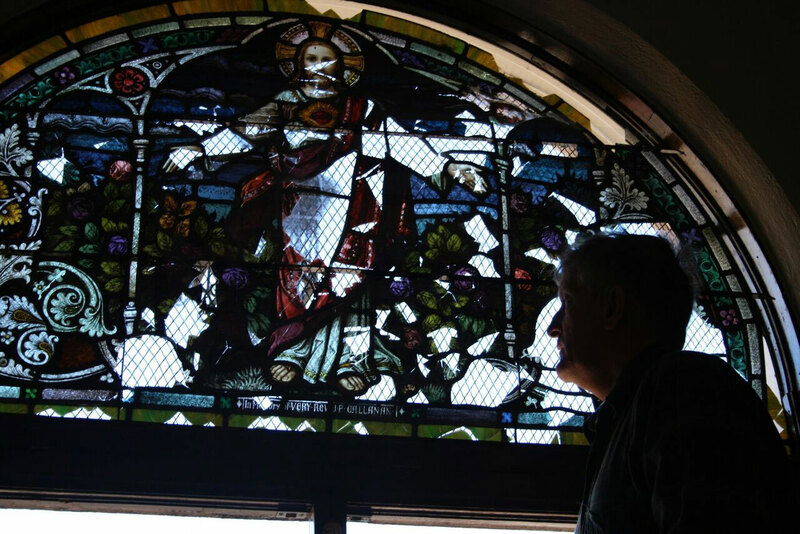 Phil Watkins, Jr. is honored to restore stained glass his grandfather made a century ago. 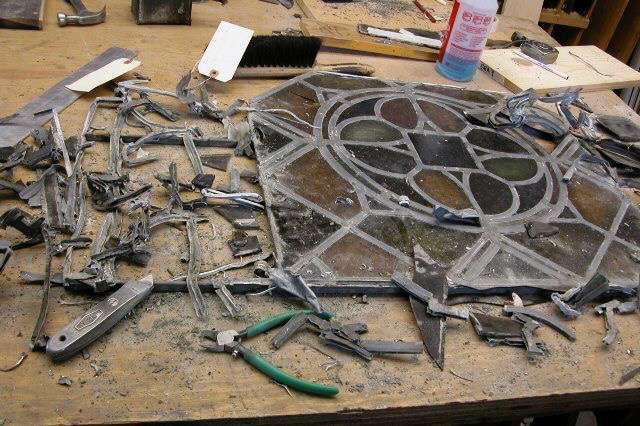 With skills passed down from generation to generation, the process for stained glass window creation and restoration has remained relatively the same since it was created during the middle ages; the Watkins family is highly experienced and has the skills that have spanned centuries. 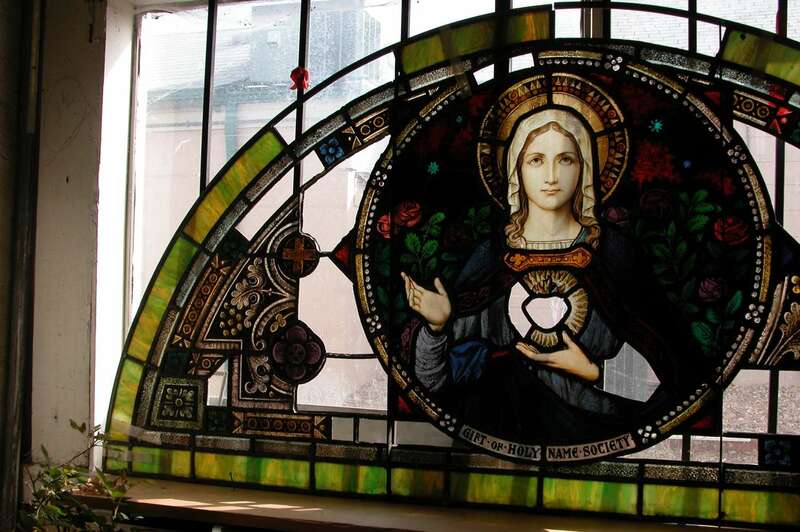 The time-tested old tradition of stained glass has remained unchanged, although modern business and technology have altered the world around them. 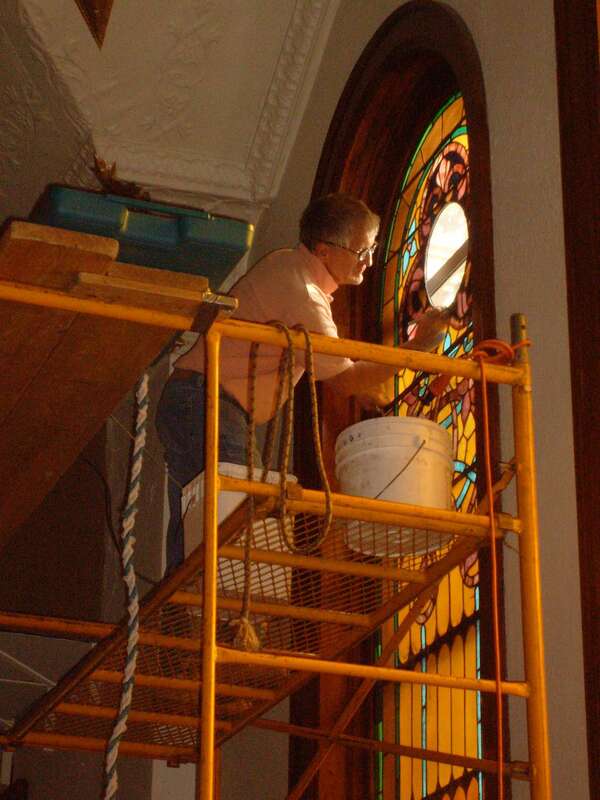 Their specialty of restoration and traditional stained glass painting has been done in churches, cathedrals, state capitols, mansions and historic landmarks. 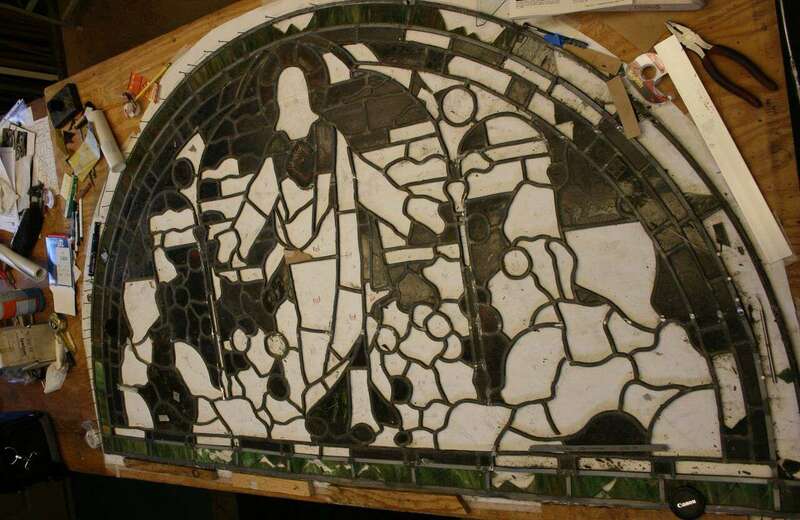 Watkins Stained Glass Studio has often been recommended by European studios to provide restoration to the fine old European stained glass windows in the United States. 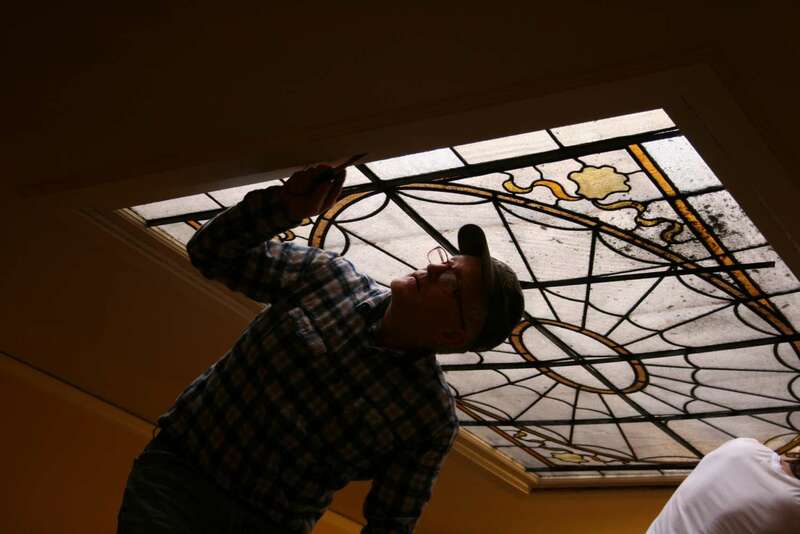 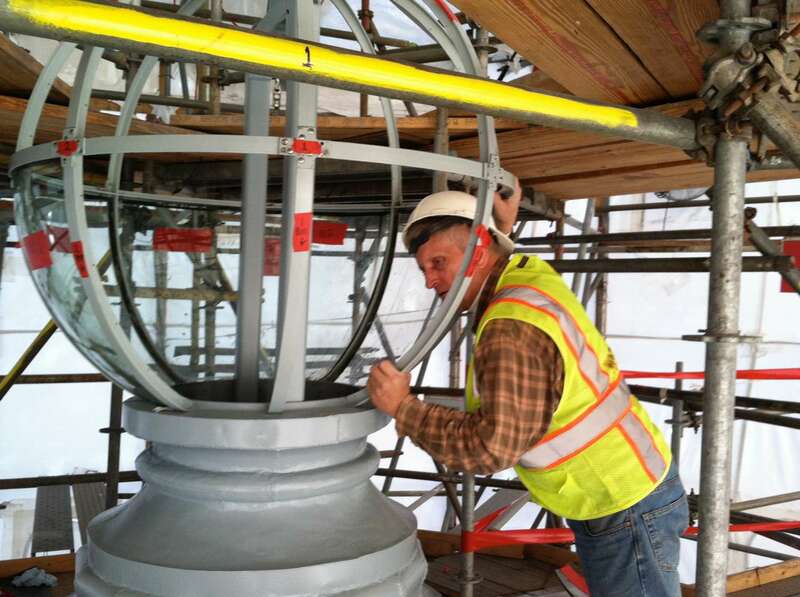 Phil Watkins, Jr. is fortunate to have centuries of restoration expertise handed down to him; his restoration skills are unsurpassed in the country. 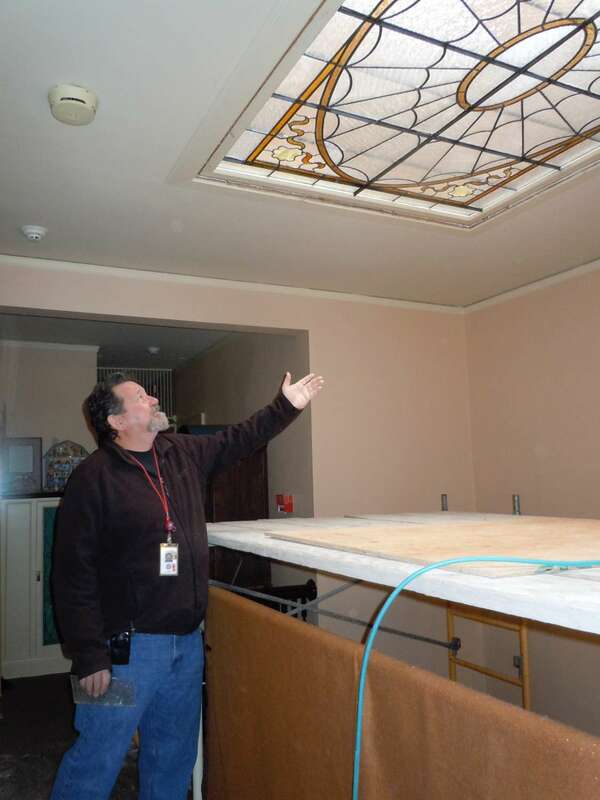 He takes special pride in restoring original L. C. Tiffany stained glass windows as well as those made by his forefathers; he uses no compromises or shortcuts and the stained glass craft of the “old masters” remains to this day.the Watkins master craftsmen have an unsurpassed knowledge for repairing stained glass windows from historical medieval stained glass to contemporary art glass windows. 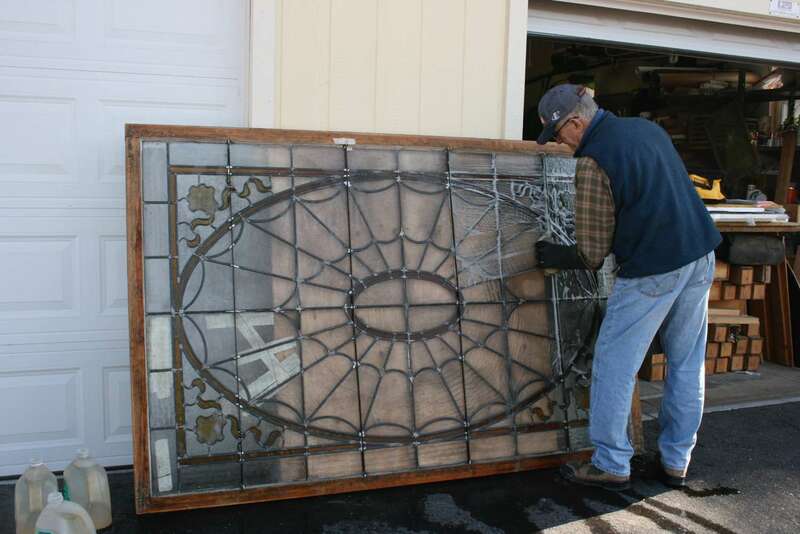 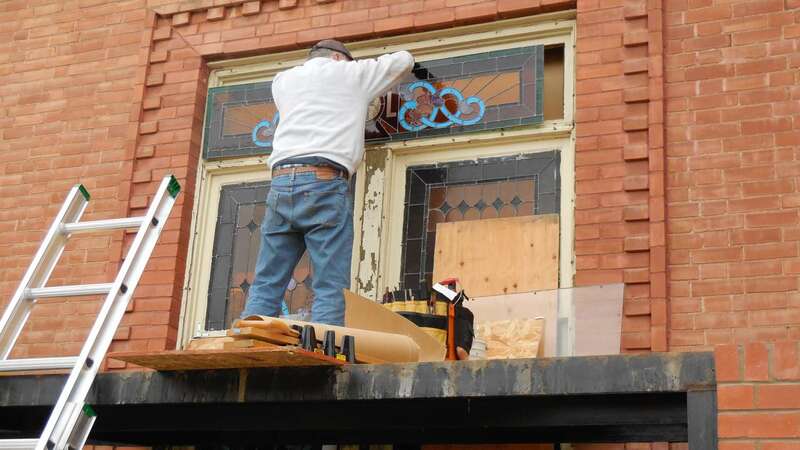 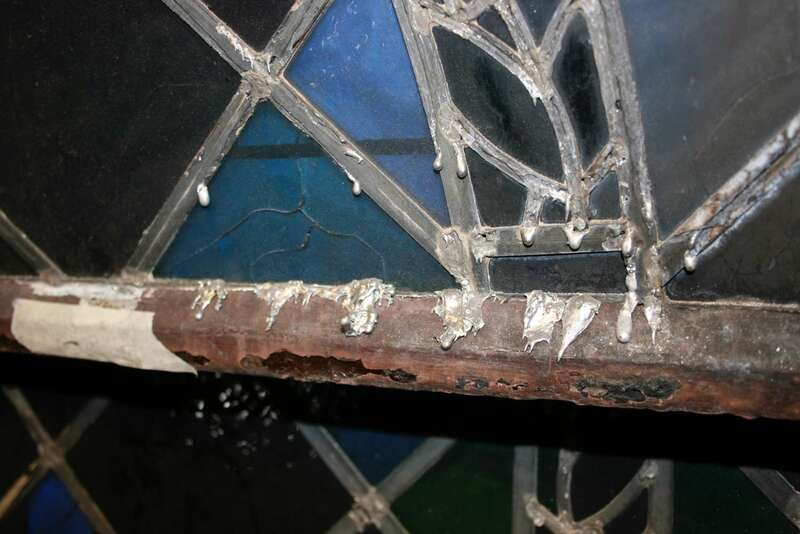 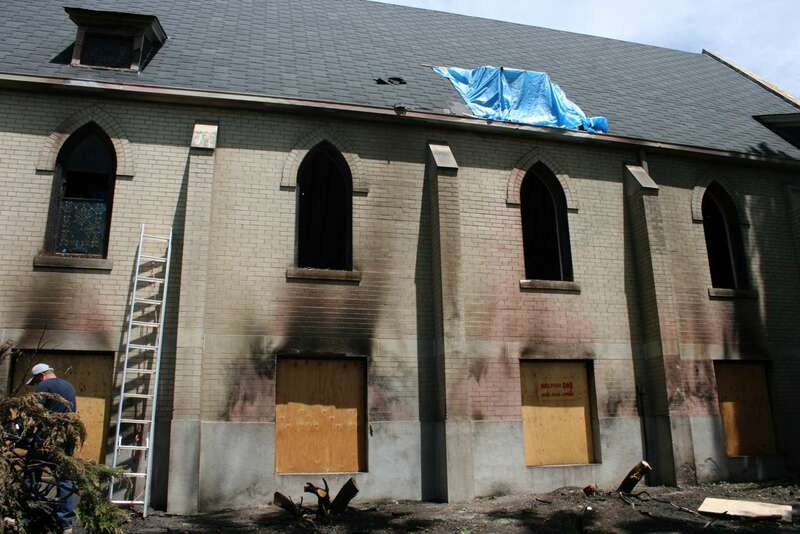 Whether the necessity for the restoration is a century old stained glass window repair or new architectural leaded windows recently vandalized, you can be assured that the quality of craftsmanship is excellent and there should be a life expectancy of 100 years. 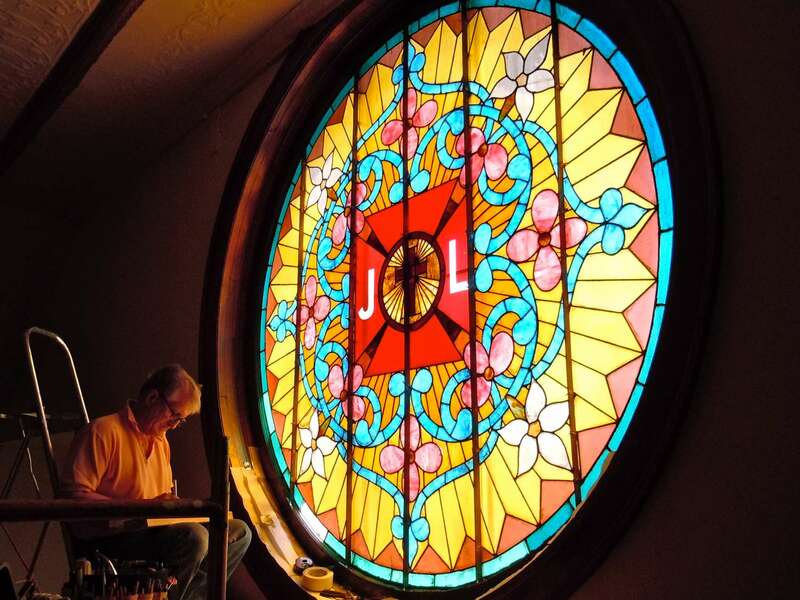 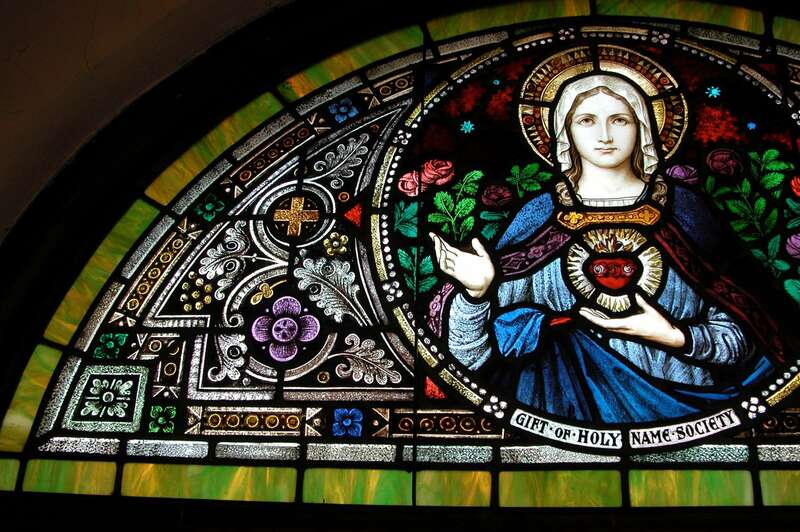 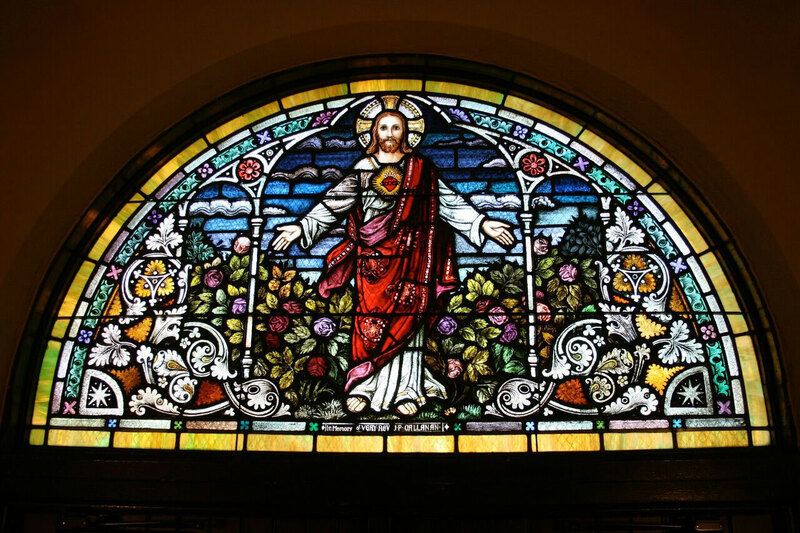 As one of the oldest stained glass studios in the country, these generations of skilled hands have left a legacy in the field of stained glass restoration and have saved many thousands of windows. 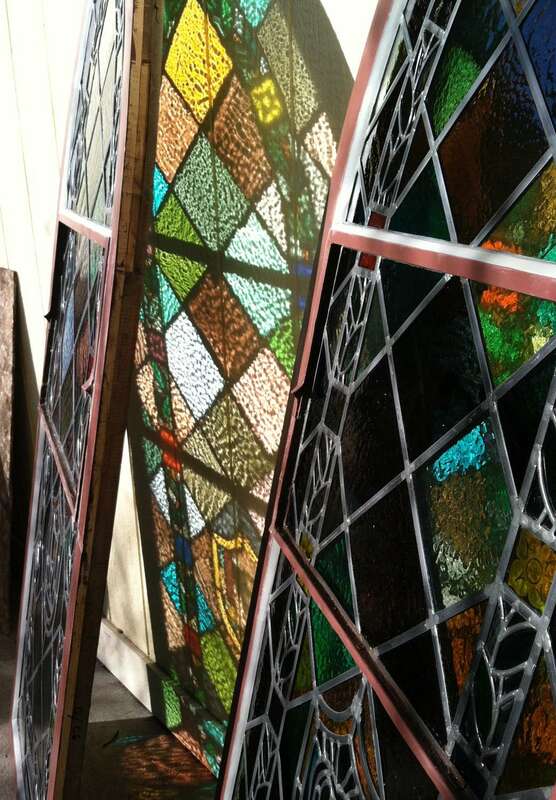 The studio strives to continue its history of stained glass excellence. 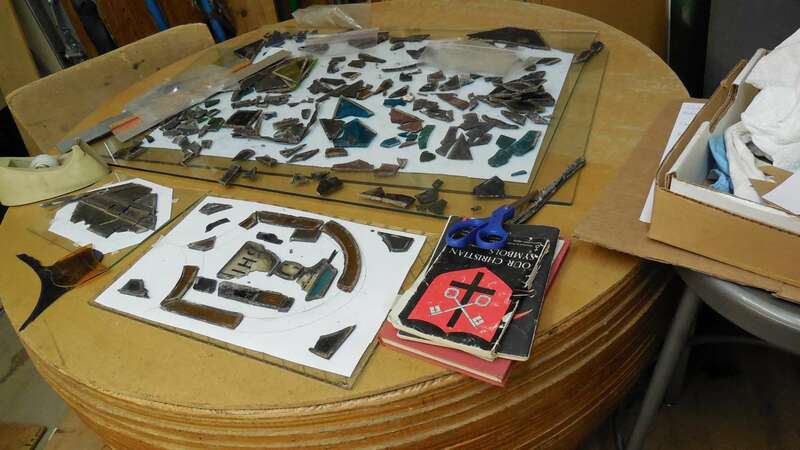 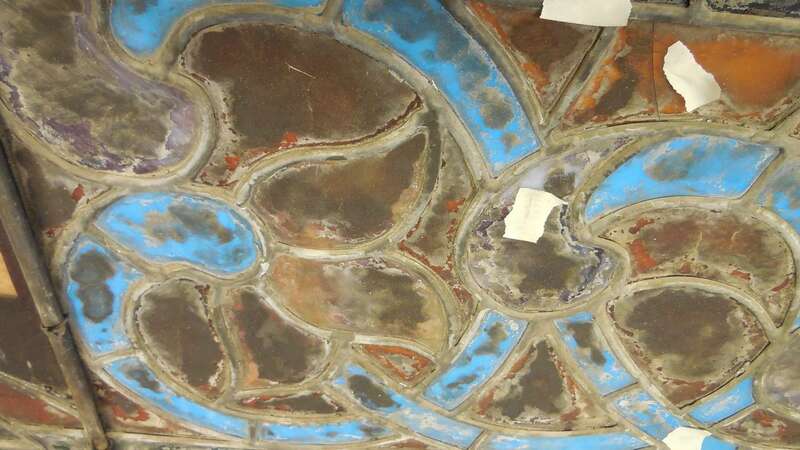 The studio will be glad to provide advice and share their expertise regarding the preservation and restoration process of stained glass, providing committees with information on evaluating their own stained glass windows. 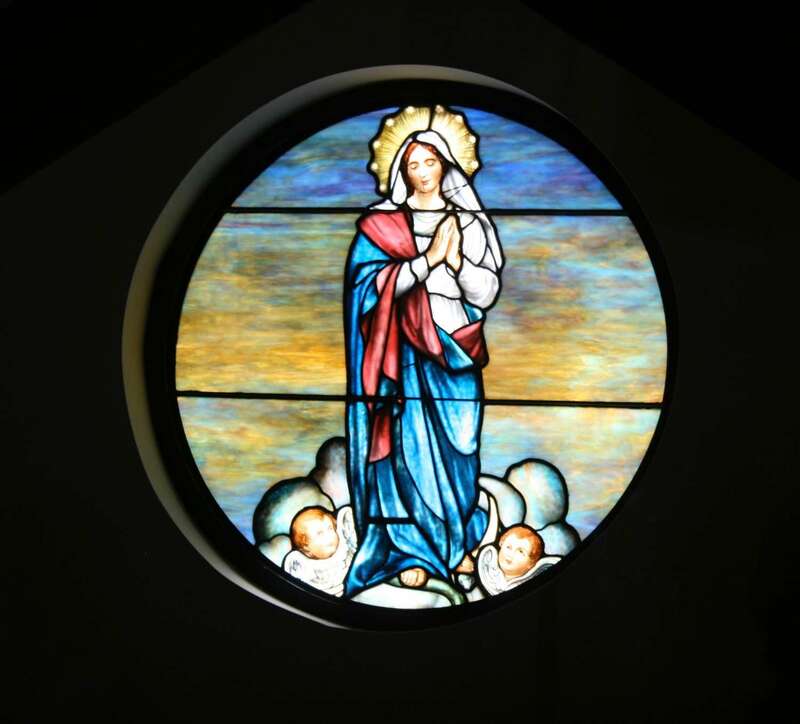 Fundraising ideas and recommendations can also be discussed and are provided on this site. 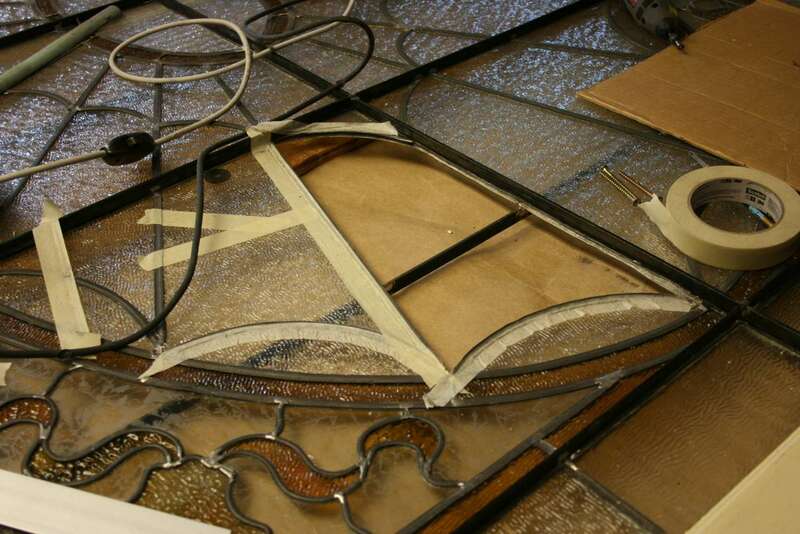 The process for stained glass window creation and restoration has remained relatively the same since it was created during the middle ages; the Watkins family is highly experienced and has the skills that have spanned centuries. 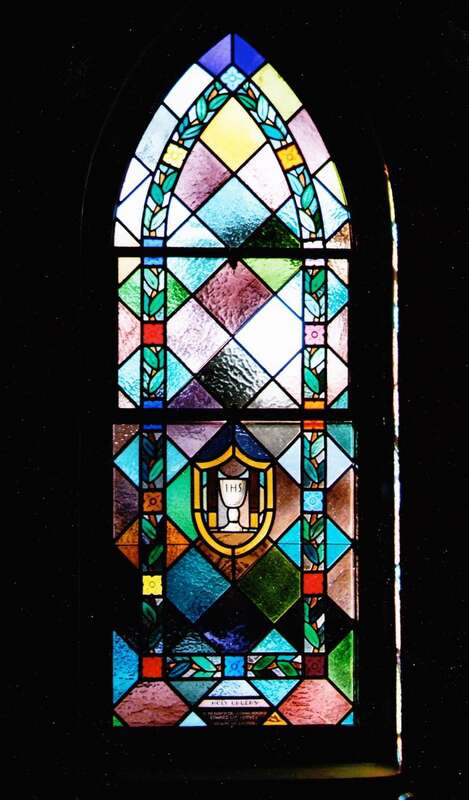 The time-tested old tradition of stained glass has remained unchanged, although modern business and technology have altered the world around them. 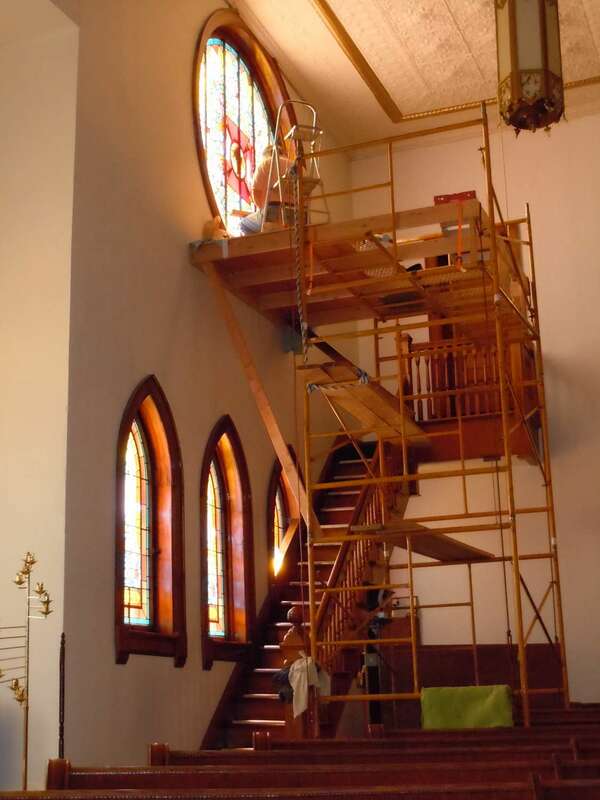 Their specialty of restoration and traditional stained glass painting has been done in churches, cathedrals, state capitols, mansions and historic landmarks. 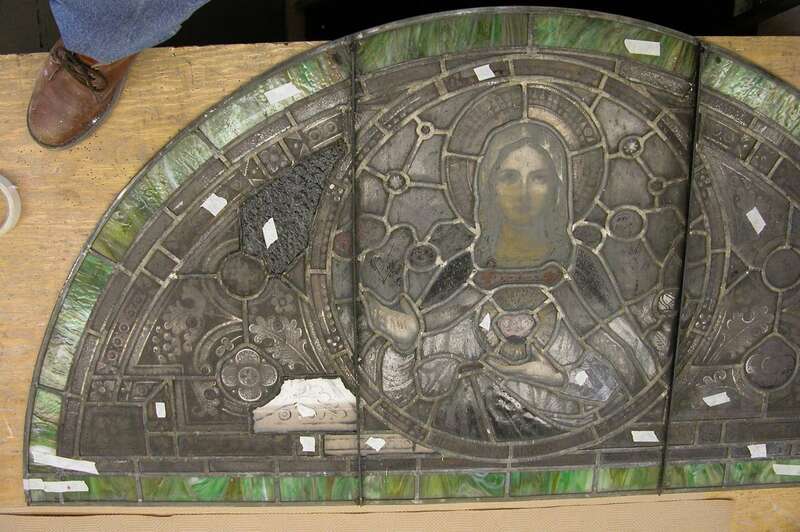 Watkins Stained Glass Studio has often been recommended by European studios to provide restoration to the fine old European stained glass windows in the United States. 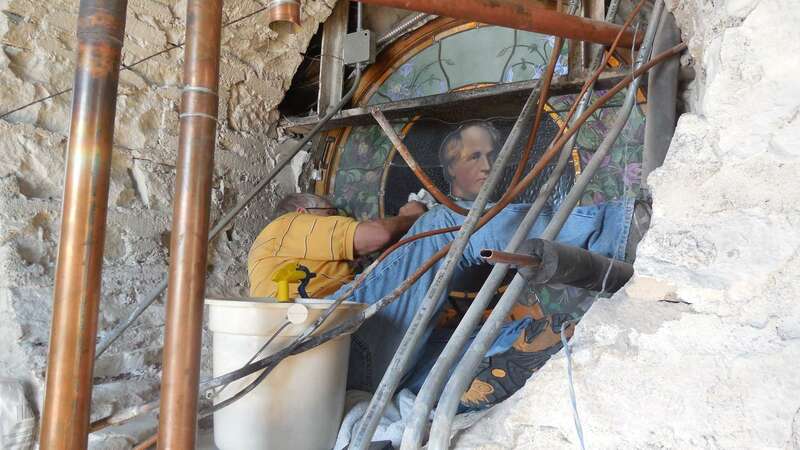 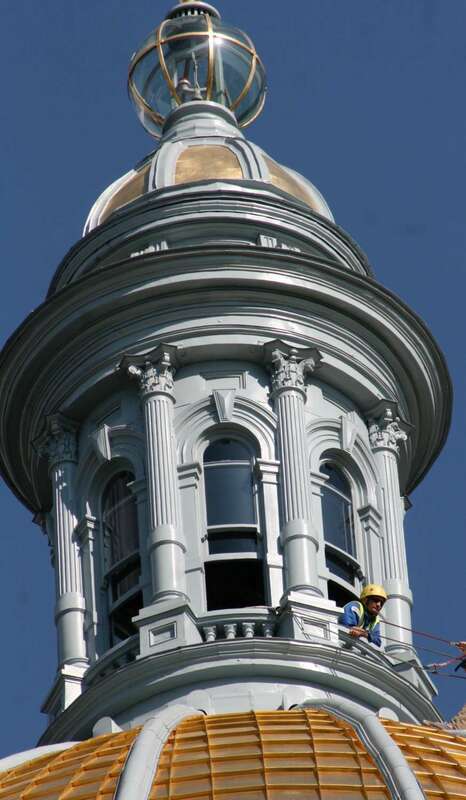 Phil Watkins, Jr. is fortunate to have centuries of restoration expertise handed down to him; his restoration skills are unsurpassed in the country. 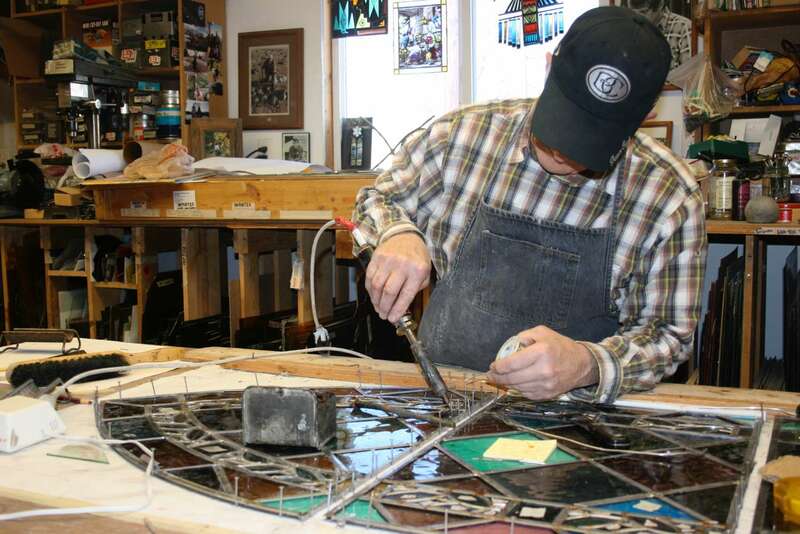 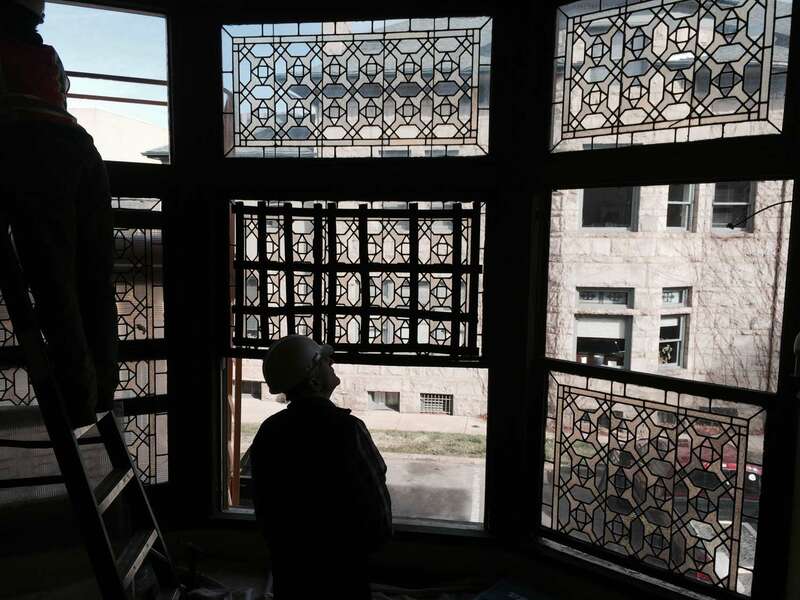 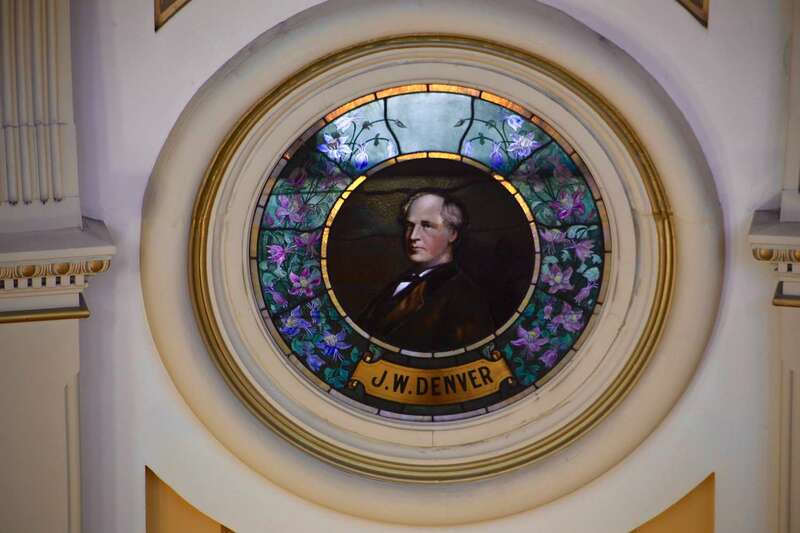 He takes special pride in restoring original L. C. Tiffany stained glass windows as well as those made by his forefathers; he uses no compromises or shortcuts and the stained glass craft of the “old masters” remains to this day.